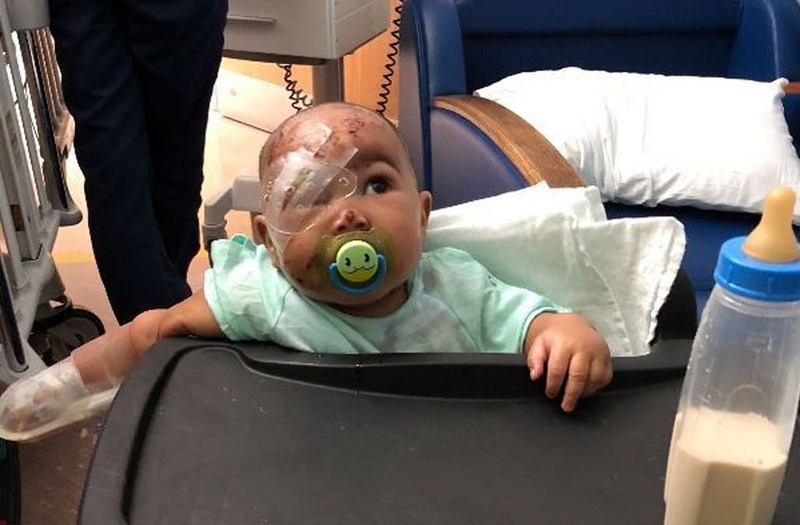 The family of an infant mauled by a raccoon inside a Philadelphia rooming house will be able to find a safer place to live thanks in part to the generosity and support of strangers. A GoFundMe page set up to help the family of 4-month old Journi Black has netted nearly $15,000 in just two days — crushing the original fundraising goal of $2,000. Nearly 500 people have so far contributed to the campaign, aimed at assisting Journi’s family in finding a home to rent. Journi’s mother, Ashley Rodgers, said she never expected the overwhelming kindness they’ve received in wake of the raccoon attack, which happened at a home on the 2100 block of North 22nd Street on Dec. 20, The Inquirer reported. She’d just moved into the residence a few days prior with Journi and her six-year-old son, Jordan. As a security guard, she said it was the only place she could afford at $375 a month. Rodgers said her daughter had been asleep in her bed when all of sudden she heard her scream around 8:30 p.m. As she rushed to Journi’s aid, she spotted a raccoon running down the steps. “When I finally got to her, she was laying on the floor so it had dragged her off the bed across the room, and she was bleeding and crying and her whole face was red,” Rodgers told CBS Philly. Journi underwent four hours of surgery on Thursday and the attack left her with 65 stitches across her face and head. Other tenants in the building had previously complained of a raccoon infestation and Rodgers said she told her landlord she’d seen one of the critters the same day of the attack. Officials from the Department of Licenses and Inspection last week issued a zoning violation to the property owner for running the rooming house. The landlord was ordered to obtain a rental license and repair damages to the facility to better keep out other pests, according to the Inquirer. Journi’s parents are unsure when they’ll be able to take their daughter out of the hospital, but said she’s slowly returning to her normal self.